Baby Friendly Boltholes is a revelation for parents of young children like us, when they invited us to review a staycation in the Peak District at Wheeldon Trees Farm we couldn’t wait! 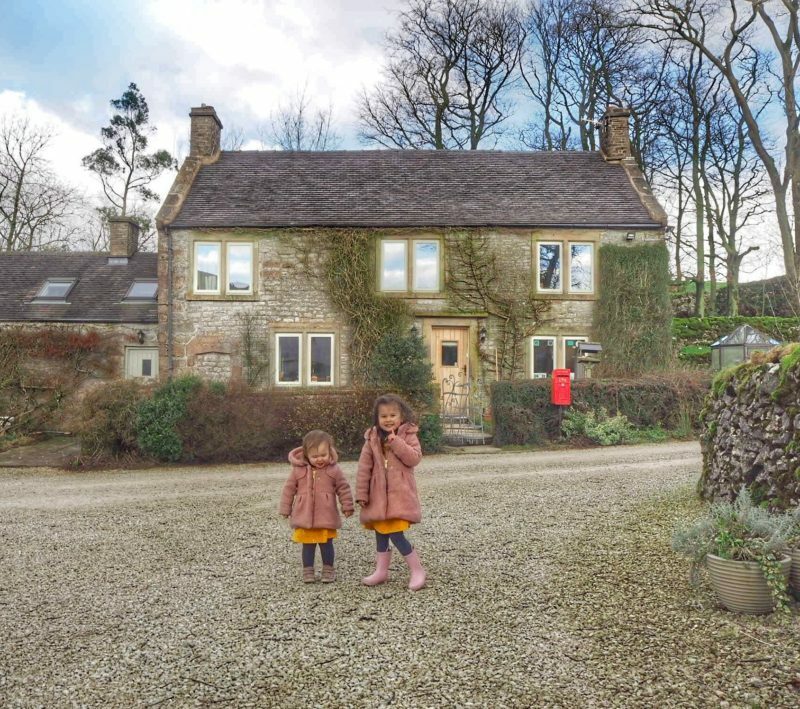 Baby Friendly Boltholes carefully select only the best accommodation for young families, so we knew we would be in safe hands…but even we were blown away with Wheeldon Trees Farm, which happens to be only two hours drive from us in York. 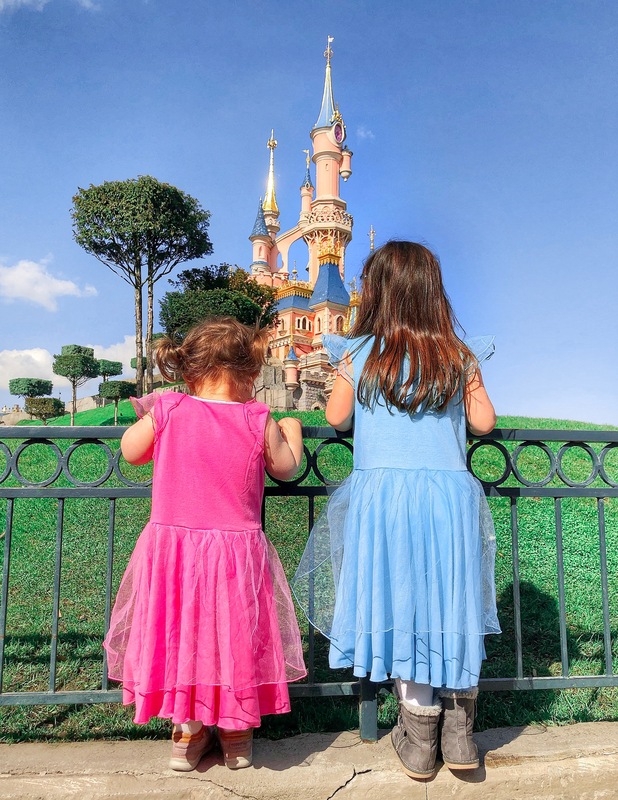 A UK staycation really is a great option for families, especially if you are nervous about travel with kids. 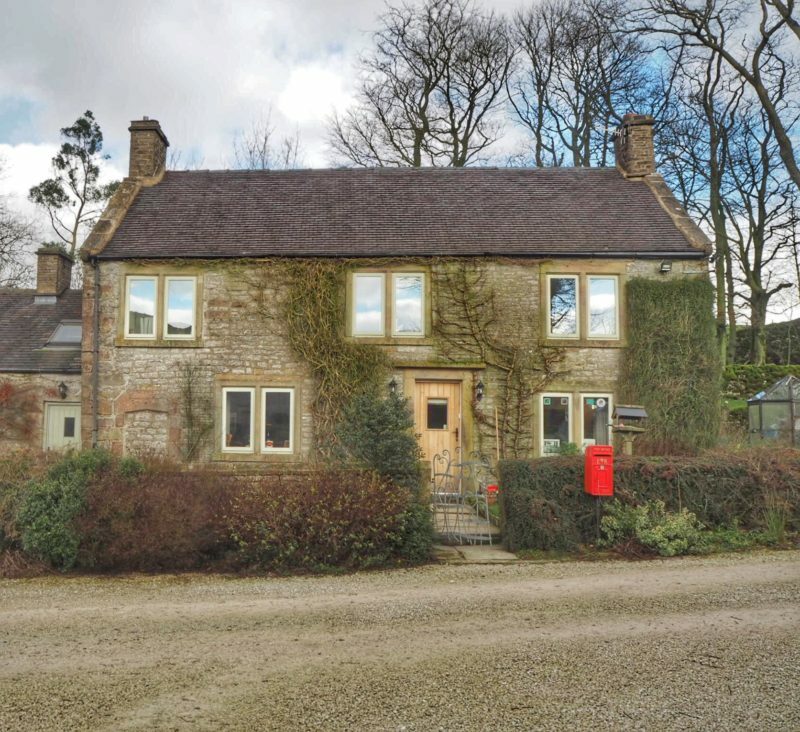 Giveaway to win a 3 night stay at Wheeldon Trees Farm is at the bottom of this post. 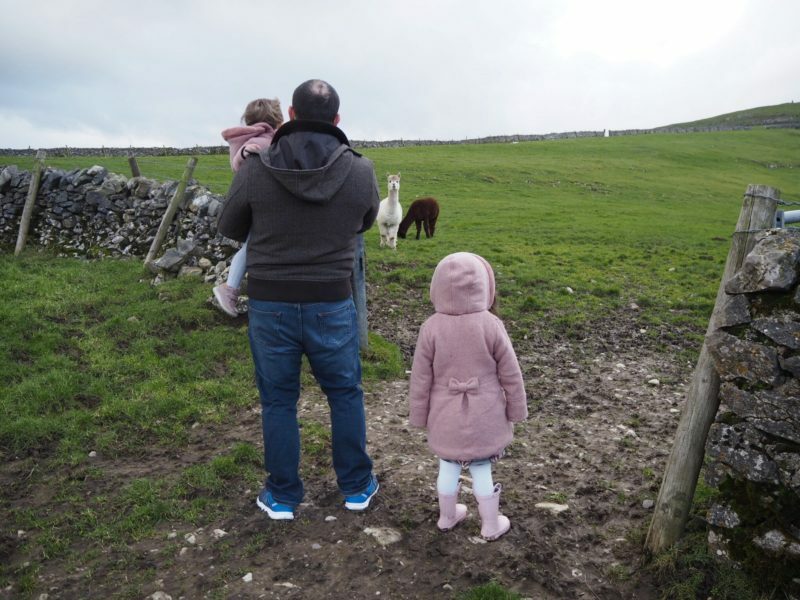 We arrived at the pretty stone cottages and the girls and I immediately started squealing at the alpacas we could see grazing on the hills. The cottages were pretty and well maintained, there are a few on site and all have their own gated patio area so you always feel that you have your own space. We also had a designated parking spot. We were immediately greeted by Nigel who welcomed us in to our cottage and showed us around, he gave us lots of useful information about how to use some of the appliances and what was nearby in the local area. 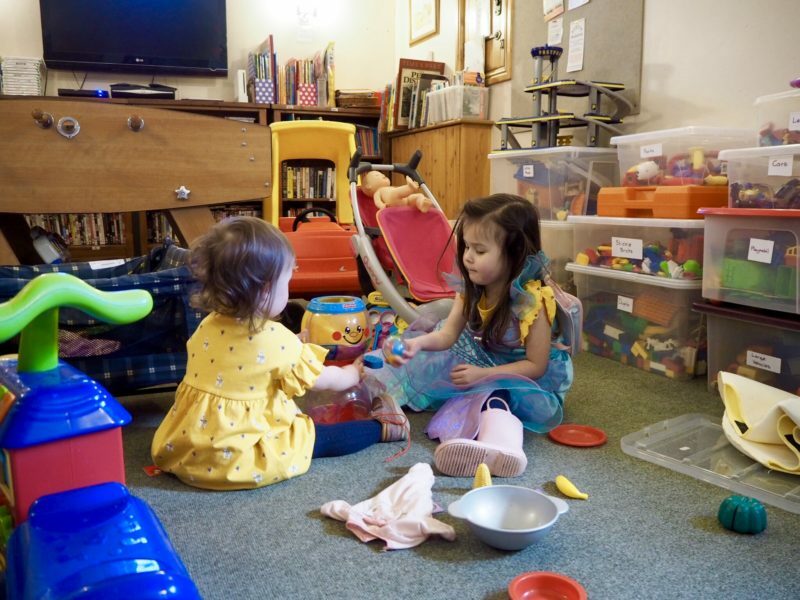 He was warm and friendly and we felt comfortable with him straight away, he soon left letting us know we could knock for him at any time as he is always on site which was really reassuring to know with babies and toddlers in tow. 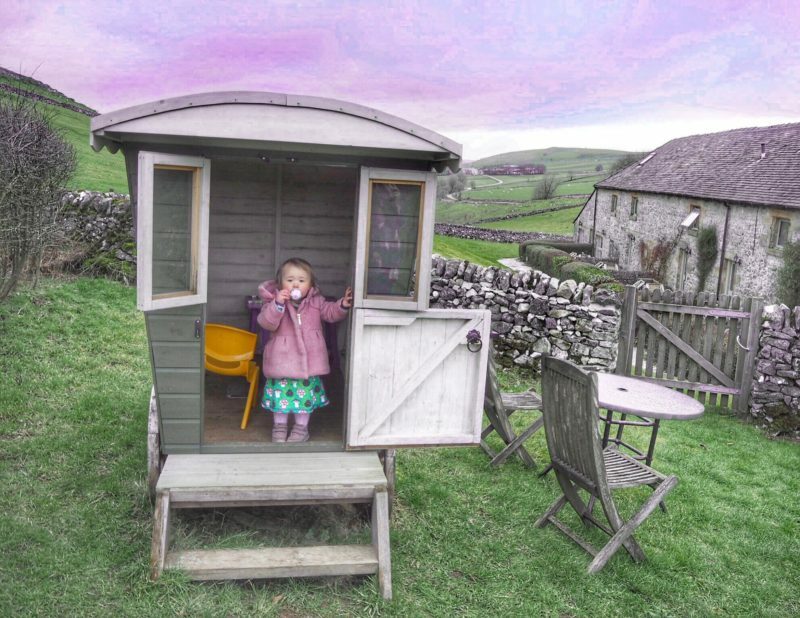 Our cottage was quaint and rustic, but with all the mod cons you could ask for…even Alexa which the kids had fun ordering about to play music for them! 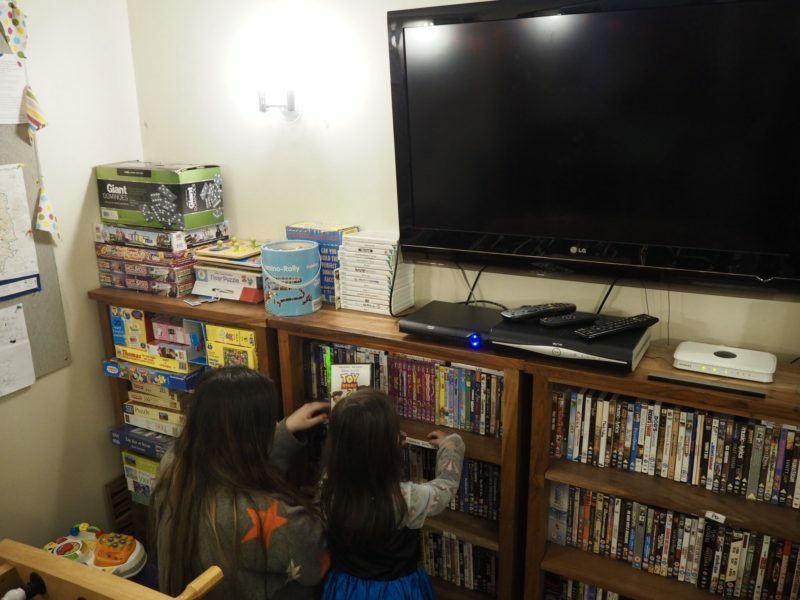 We had a TV and DVD player, a fully stocked kitchen with more equipment than I even have at home…they even had a whole rack of spices! 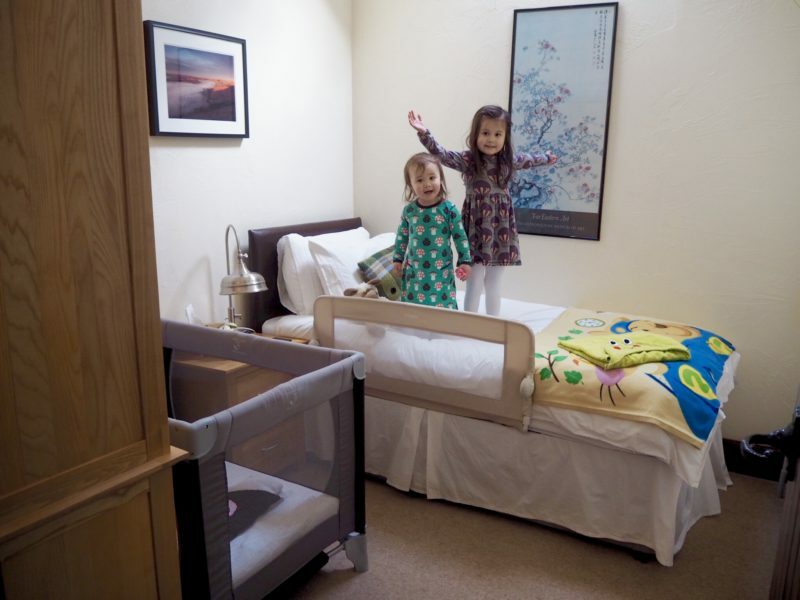 When booking on the Baby Friendly Boltholes site we were given a tick list of items to choose from for our cottage…we selected a bed guard and cot, a potty, a baby bath, a baby gate, a nappy dispenser, a changing mat, a booster seat and a high chair. Everything we asked for was there and ready, I was beyond impressed! 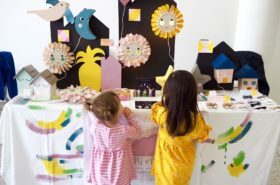 So many times we have pulled our hair out trying to remember all the bulky bits and bobs you need for a comfortable and safe stay with small children and struggled to get it all in the boot of the car. Having it all here waiting for us was absolute bliss! We found a selection of cakes and biscuits (and boxes of raisins – the toddler snack of choice of course!) 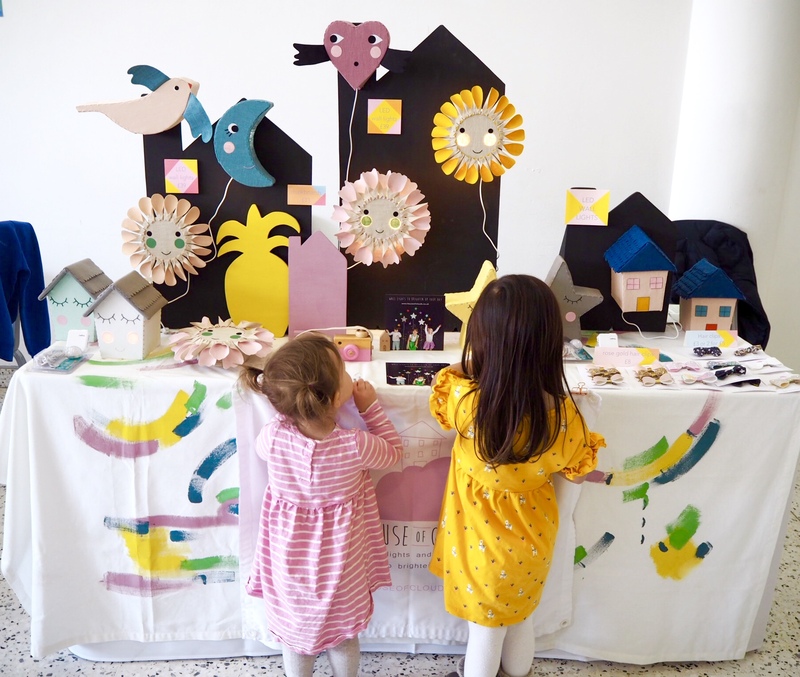 on the beautifully set table that included full dining sets for the children to use…perfect! My favourite was the Bakewell brownie…being only a short drive away from Bakewell it was a lovely local touch…and delicious! 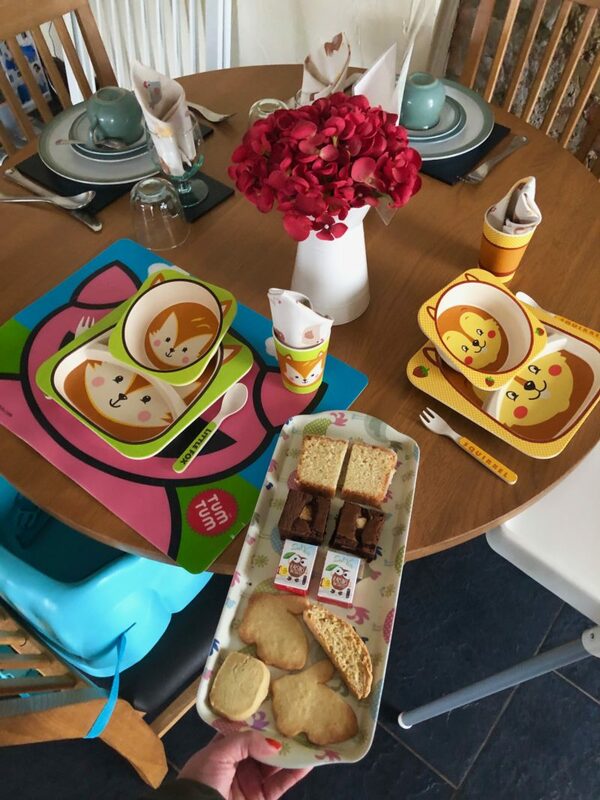 We had also selected a Breakfast Hamper when we booked through Baby Friendly Boltholes which was waiting for us in the kitchen area, it was fantastic! 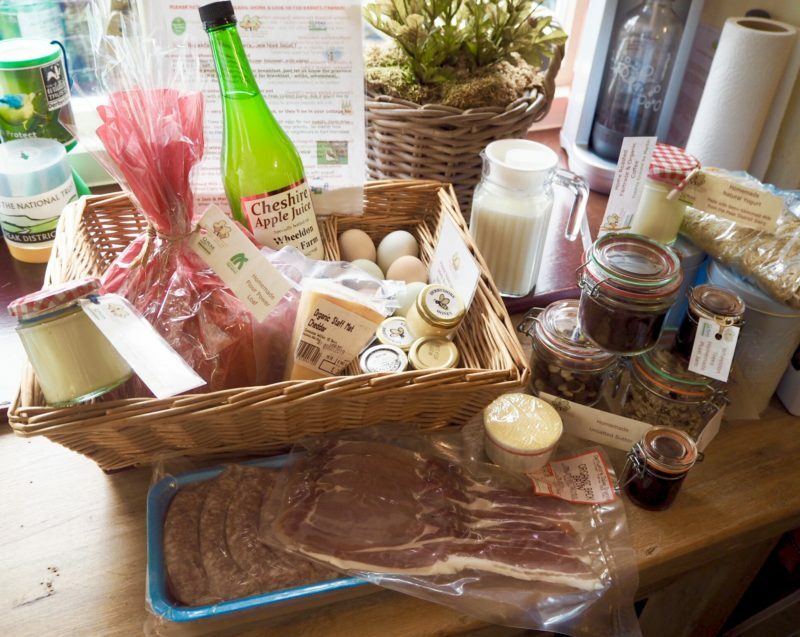 Packed full with local, homemade or organic goodies…fresh farm eggs, chocolate, bacon, sausages, home baked bread, cheese, granola…and so much more…everything we could have needed for a luxurious local brunch was there and was delicious. Our bed was HUGE! And it was so comfortable we slept like logs. It was so silent at night too, we slept so much better than at home. We had wardrobe space in each of the rooms for hanging up clothes. We had towels provided and a big bath with all the toiletries we needed. 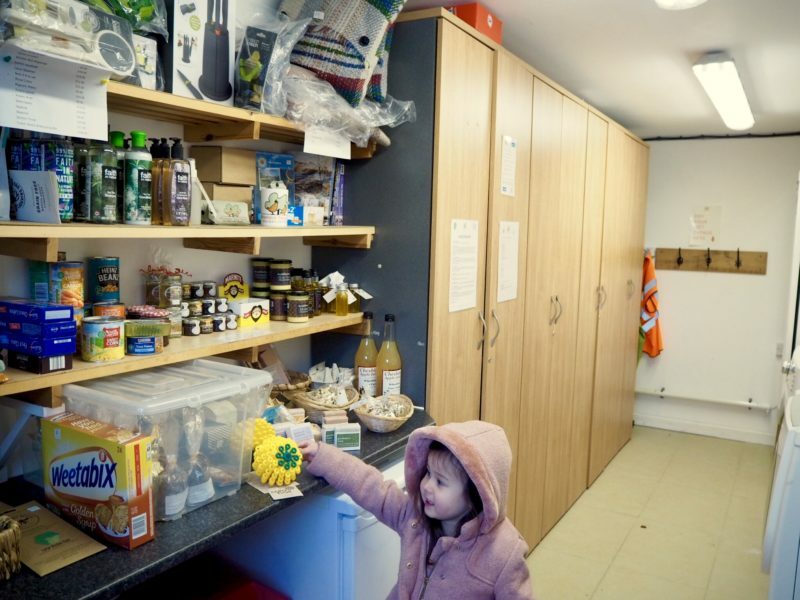 Another thing we loved about Wheeldon Trees Farm was how environmentally conscious it was, every detail had been thought about with the environment in mind which meant we could enjoy ourselves guilt free. 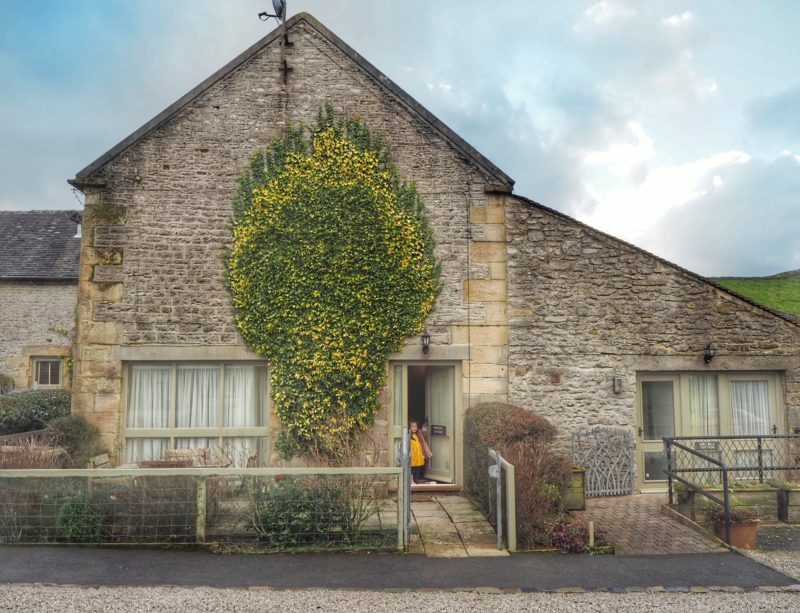 We found the accommodation at Wheeldon Trees Farm far surpassed all our expectations, we were very impressed. 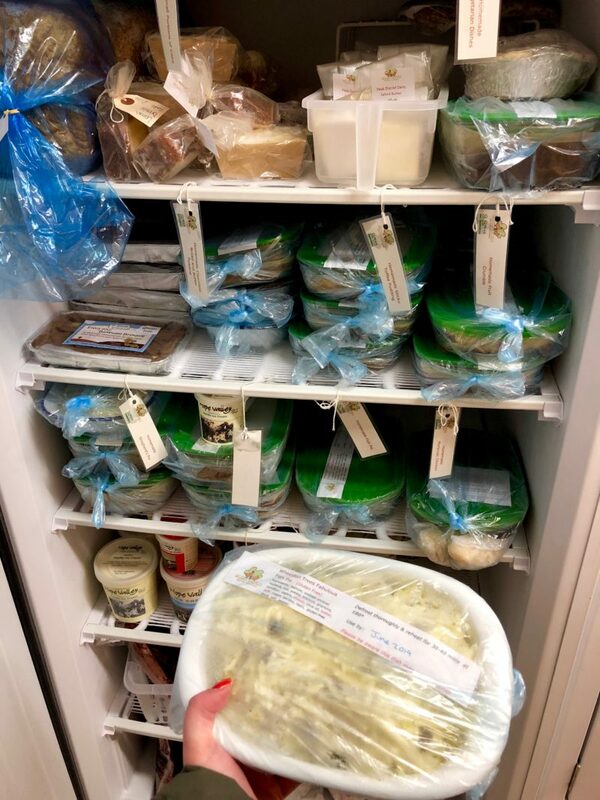 From Moroccan Chicken to Lasagna to Shepherd’s Pie…there were countless meals to choose from with all the ingredients listed. I was delighted I could feed us all something healthy and hearty without having to cook! We chose Fish Pie (which was delicious!) and a sticky toffee pudding. I also bought some more eggs (laid by the hens on the farm) and some pasta so I could whip up some quick pasta dishes for the girls during our stay. 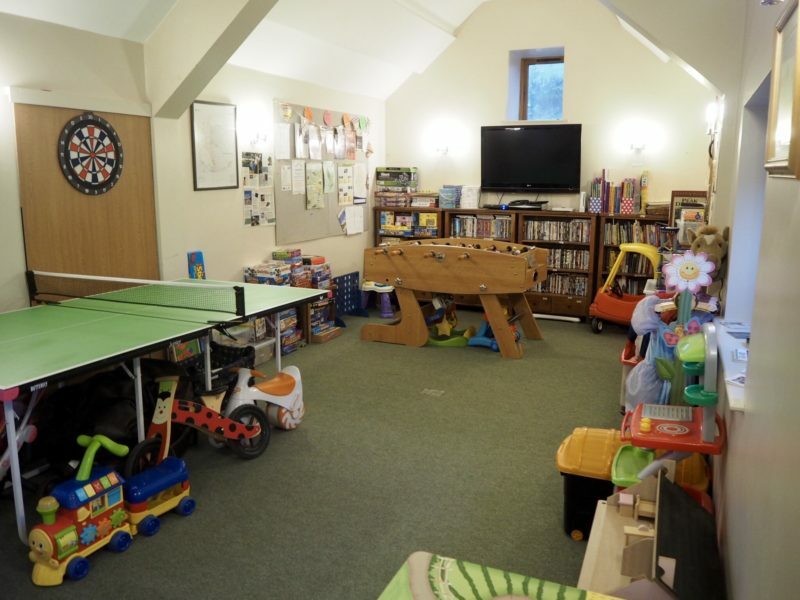 Wheeldon Trees Farm also has what it calls The Long Barn which is a communal room full with games, toys, books, dvds and even a ping-pong table. It was incredible how much stuff they had in there free for us to use. The kids thought they had won the lottery, they had a blast! We even borrowed some dvds and books to take back to the cottage with us. 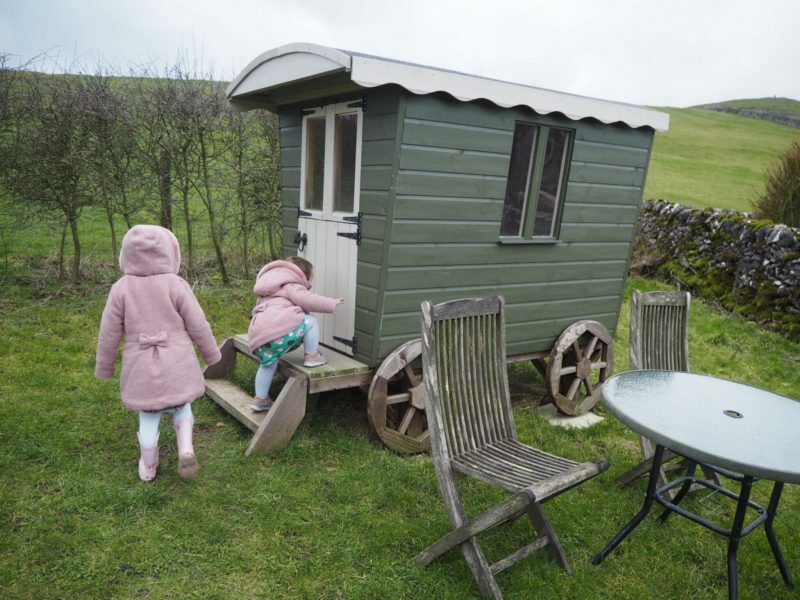 The outdoor facilities are also amazing, there is a huge outdoor play area for little ones which also includes an adorable little play caravan which Ariel fell in love with. I struggled to get her out of it. 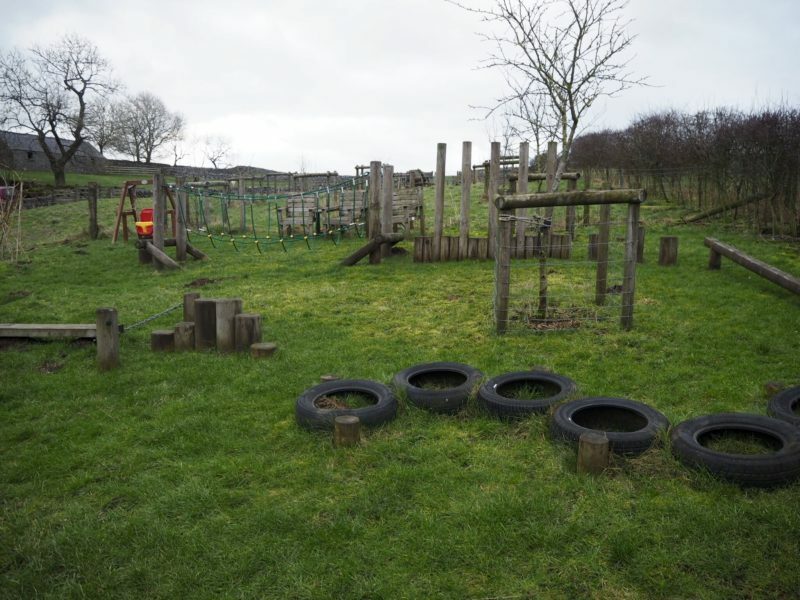 The play area is also enclosed so Grumpy and I could relax and take in the views which surround you at Wheeldon Trees Farm while the kids could run around safely. 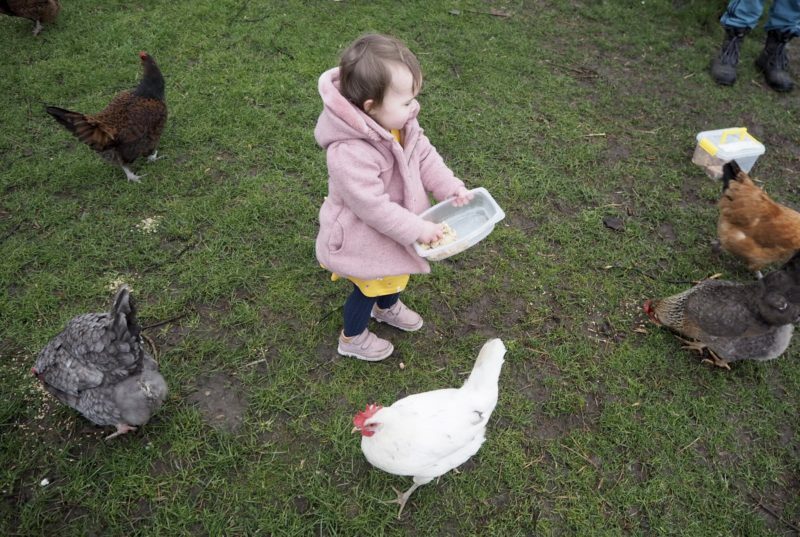 We could also visit the animals around the farm, the alpacas, ducks, rabbits and hens…every morning you are invited to join in with feeding them which was a real highlight for us all. 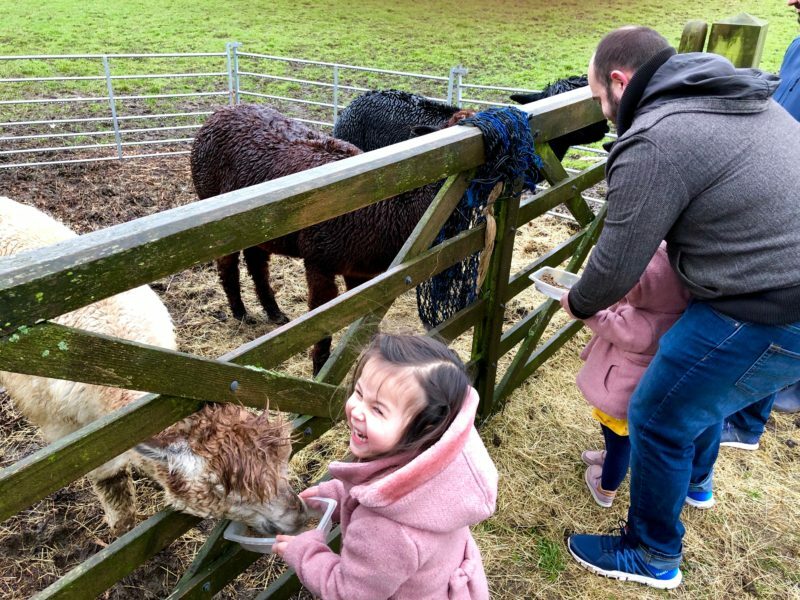 I couldn’t believe how brave the girls were feeding the alpacas. The kids were also so excited about checking for eggs in the morning and we even got to keep a couple to have for breakfast. Grumpy reliably reports that the eggs taste infinitely better than shop bought ones! April also loved saving her crusts from her sandwiches for the hens. 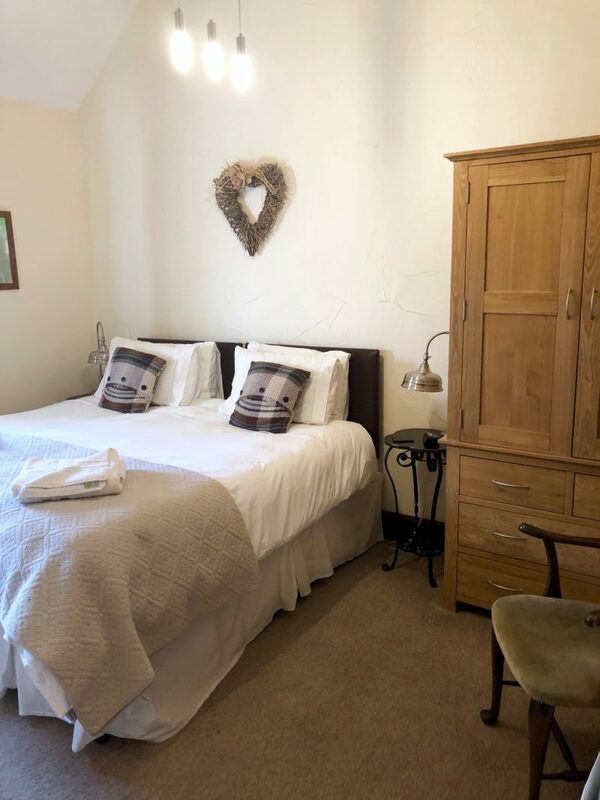 There is so much to do at Wheeldon Trees Farm you wouldn’t even need to leave the site, you could have a fun-filled relaxing staycation and a Peak District experience without even getting back in the car. 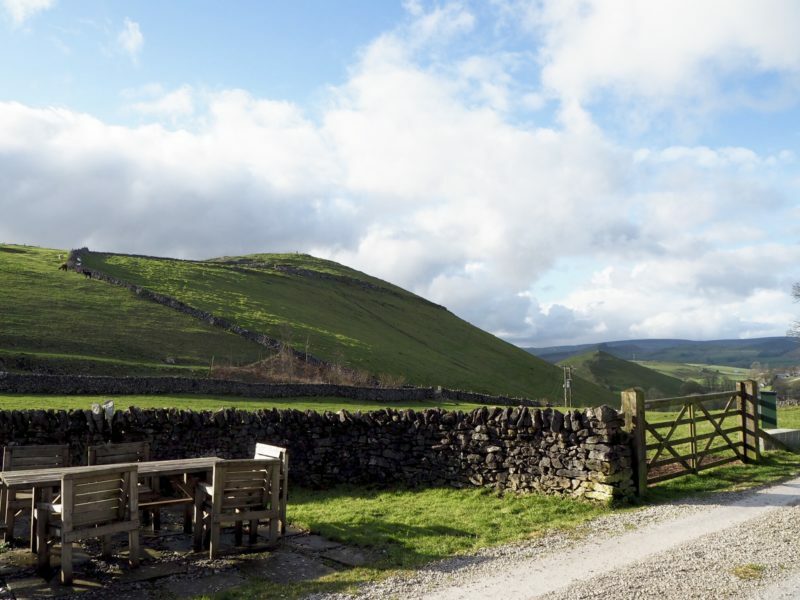 There are however so many walking routes from the farm if you are after even more views and adventure…they are helpfully listed in a booklet in the cottages and some details on difficulty/suitability for buggies etc are given too. 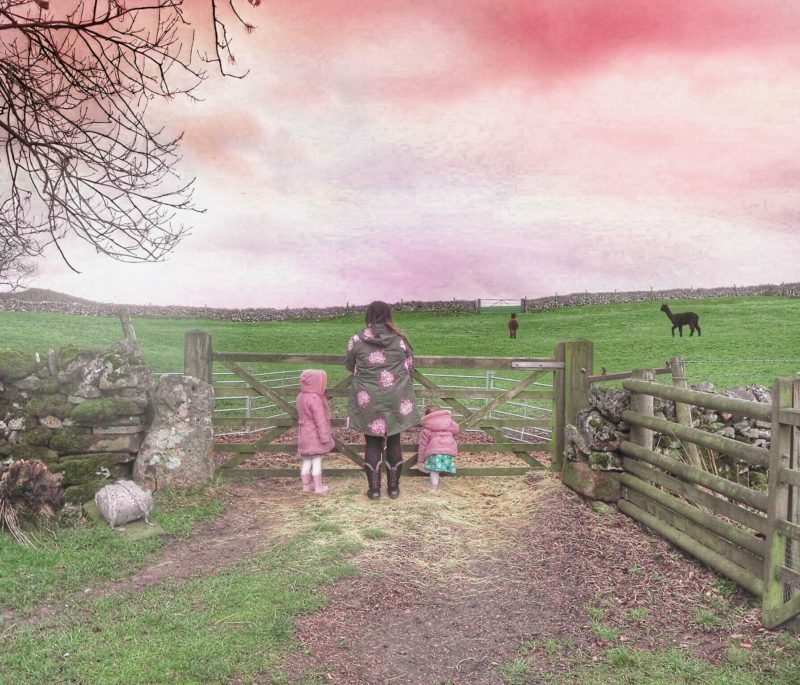 Wheeldon Trees Farm is also perfectly placed between Buxton (famous for it’s water) and Bakewell (famous for it’s tarts and puddings) – both just a short drive away if you want to explore some of the Peak District’s most famous little villages. 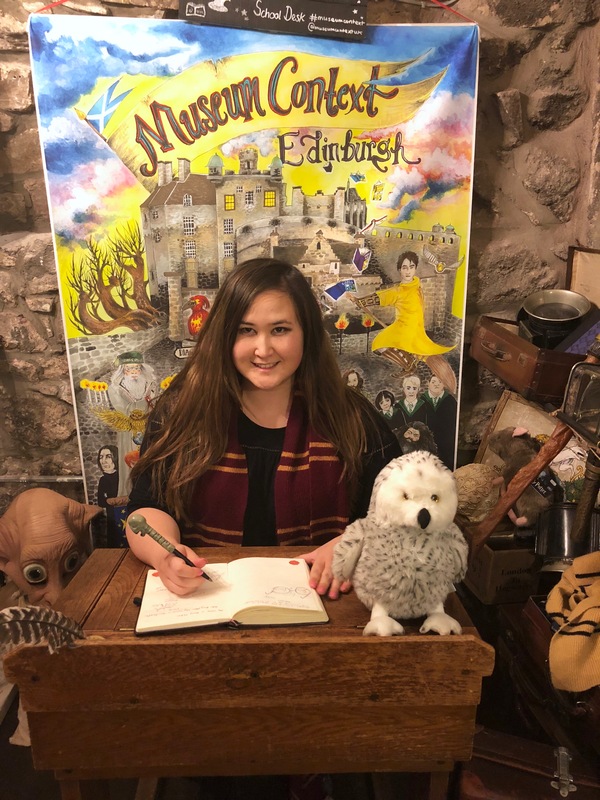 If you are staying a little longer you certainly won’t run out of things to do, further afield you’ll find Gulliver’s theme park, Chatsworth House, the Heights of Abraham, Bolsover Castle – and many many more attractions to fill your days. There are so many places to go with the kids! Getaways like this really prove that travel with kids doesn’t need to be extravagant or stressful. 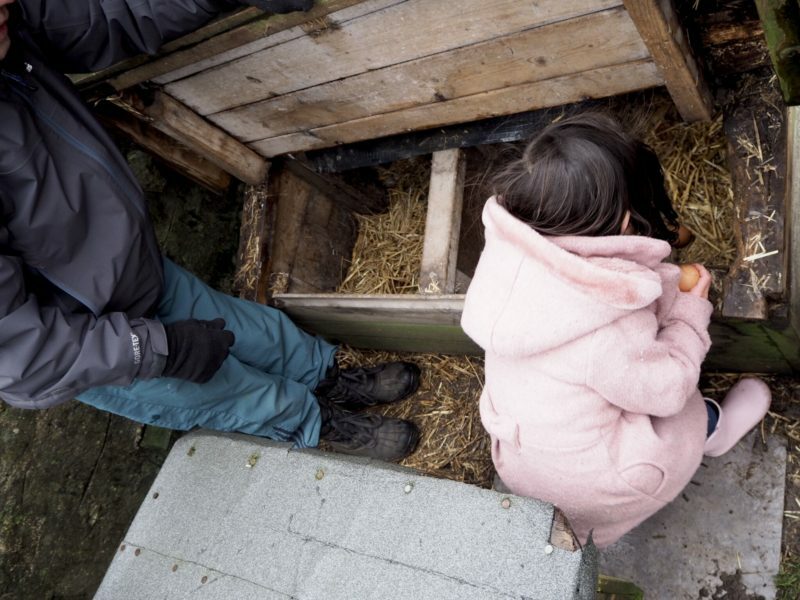 There is so much for families to do and see right on our doorsteps in the UK. The information guides in the cottages also list some great local pubs and restaurants too. I am so impressed with Wheeldon Trees Farm, and cannot believe that such a beautiful spot is so close to home. 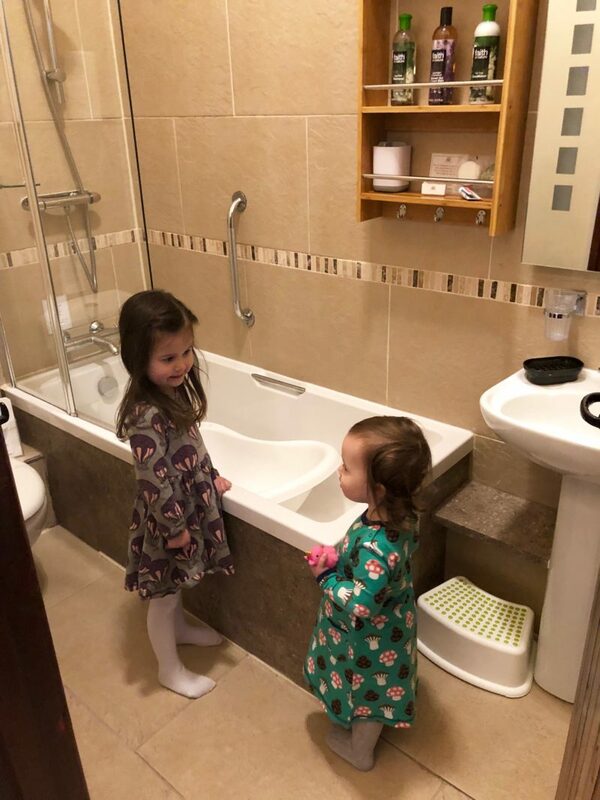 This is the first time we have booked a Baby Friendly Bolthole and it has honestly been a real eye opener for us, we have never felt so relaxed on a holiday before. Knowing that the children were being catered for in every respect was so nice, it meant we didn’t have to worry and could really unwind. The kids had everything they needed, the cottages were safe and fully equipped for them…all we needed to do was pack some clothes and show up. 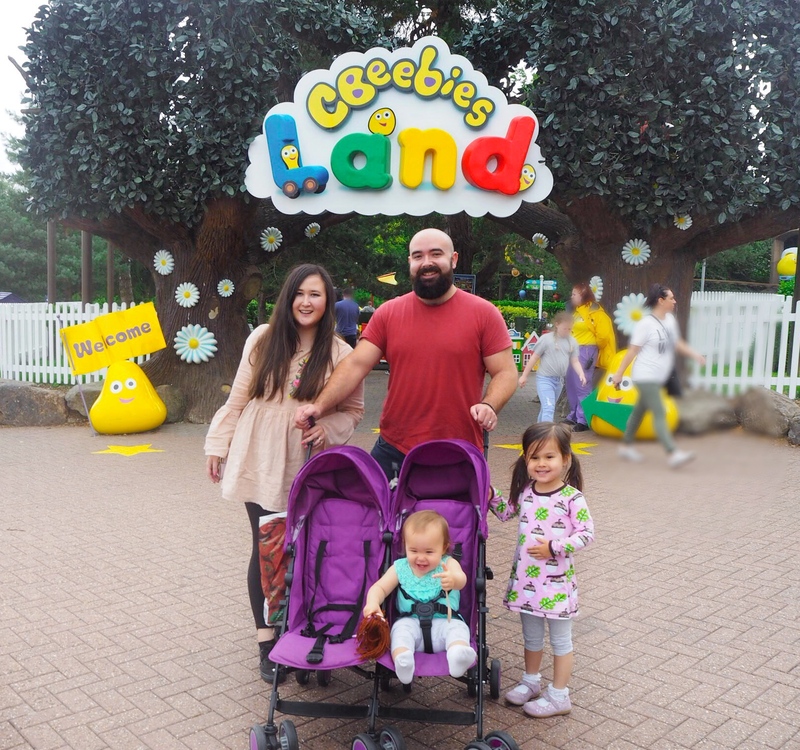 We booked it pretty last minute and didn’t really plan anything, which was such a novelty as normally going anywhere with babies and toddlers in tow sends us in to a planning and packing frenzy. This was a totally different type of break and one we enjoyed so much we will be booking many more of. 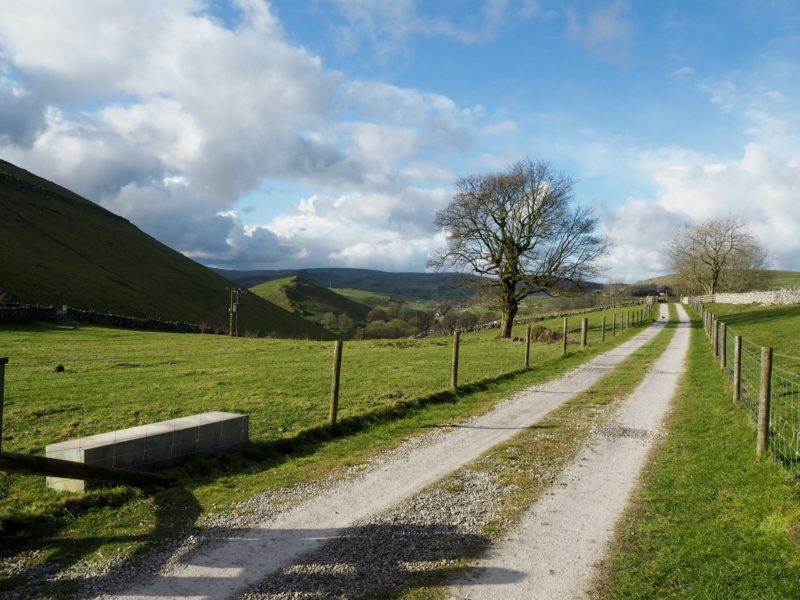 Overall, Wheeldon Trees Farm offers fantastic accomodation and a friendly welcome to the Peak District. It’s perfectly located for walks, local attractions and famous villages or even just views from your cottage. 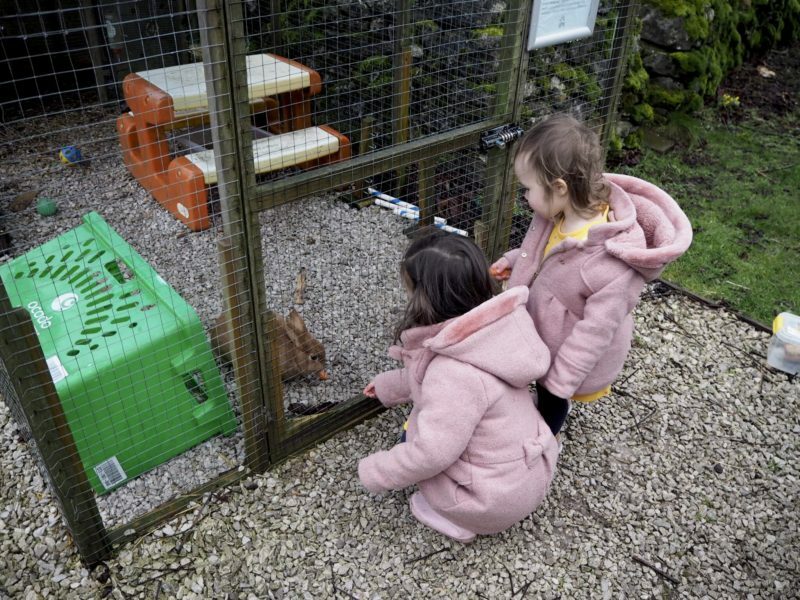 On site there is plenty of indoor and outdoor entertainment to keep you and your little ones occupied whatever the weather. There are lots of local attractions for family days out and the scenery is unbelievable. 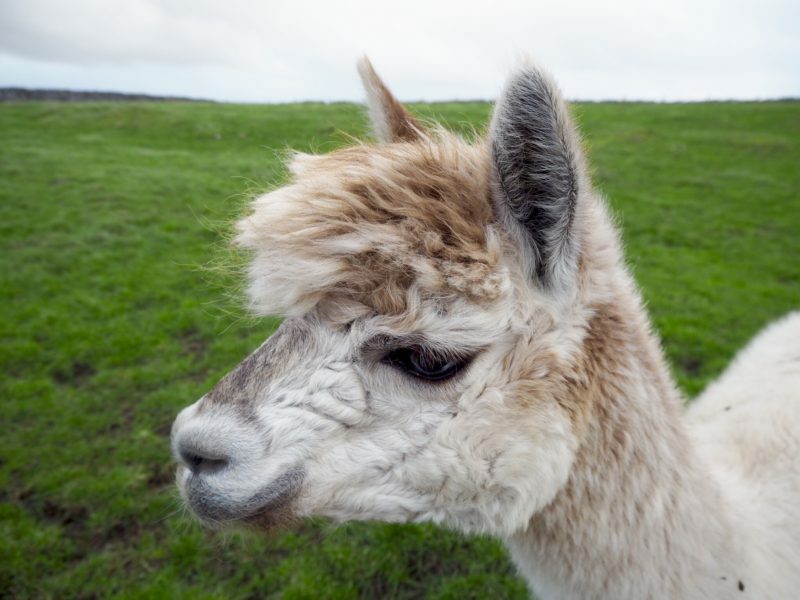 All of this only made even better by the extra special alpacas that call it their home. 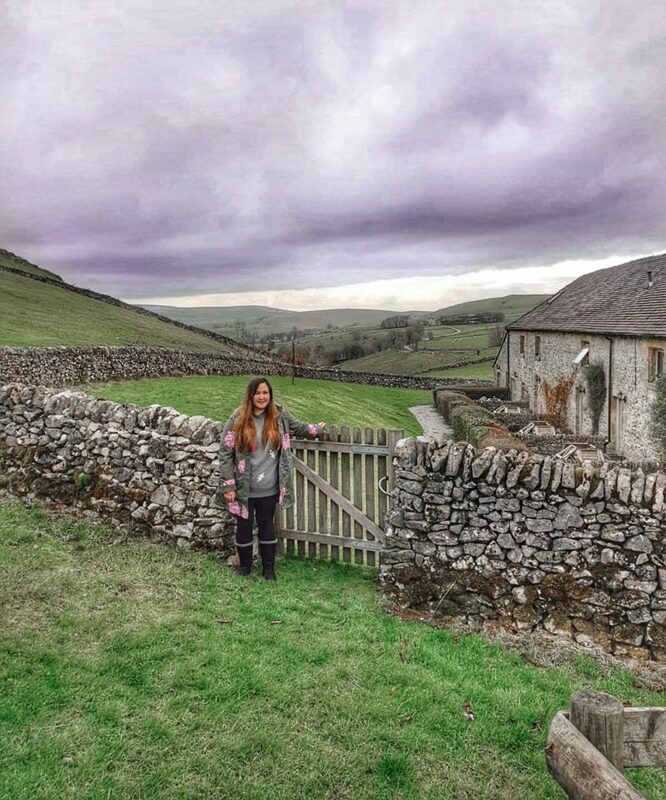 A wonderful little Peak District staycation and holiday with the kids – thank you so much for having us! 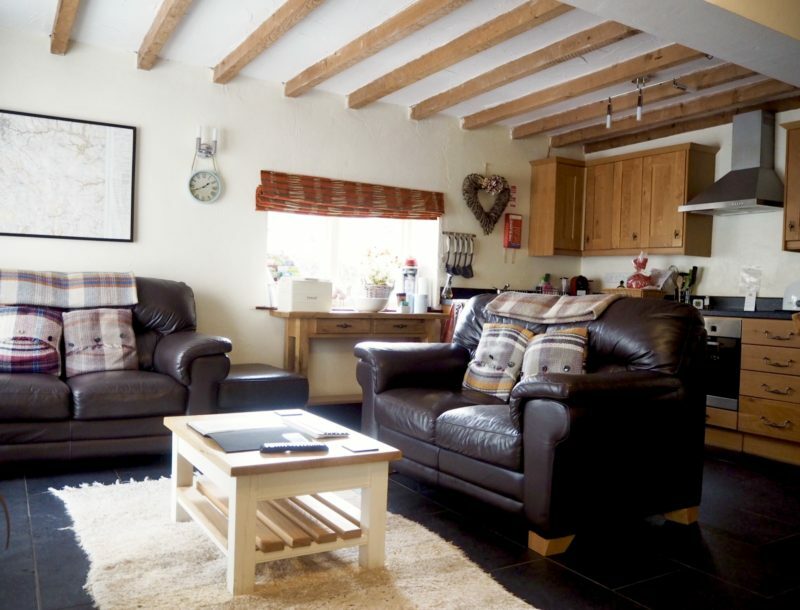 Click here to view more information on booking a Wheeldon Trees Farm stay. Disclosure: we stayed at Wheeldon Trees Farm free of charge for the purpose of this review, all opinions are my own. 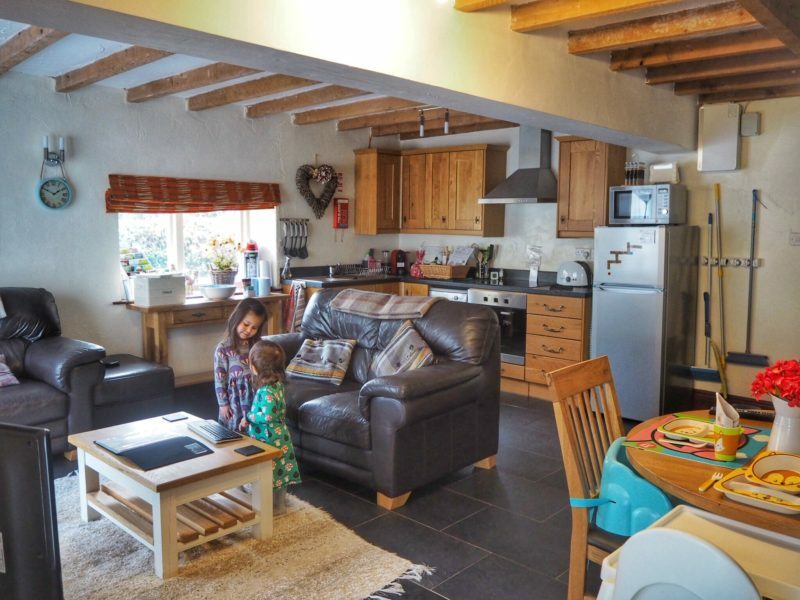 We are delighted to be hosting a giveaway on behalf of Baby Friendly Boltholes and Wheeldon Trees Farm, for a 3 night off-peak stay in one of their beautiful stone cottages in the stunning Peak District. You will also receive a £50 Baby Friendly Boltholes voucher. Stay must be redeemed in Feb, March, Oct, Nov or Dec 2019 (excluding school holidays). Prize includes accommodation for a maximum of two adults and two children plus one infant. Travel to and from the site is not included. Entrants must be 18 or over. Head to my Instagram page @ever.after.with.kids to find out how to enter.